About a decade ago, I received a resume from a job candidate that was rolled into a scroll and slipped into the knot on a brand new sneaker. A card that came with the box read, "I just wanted to get my foot in the door." Did it work? As a matter of fact, yes. I was impressed by the applicant's ingenuity (although I wondered just how many pairs of sneakers she had bought for the sake of her job search). It was a risk, though as some recruiters would have been instantly turned off by her gimmick. A slideshow resume, such as a PowerPoint presentation. A PowerPoint slide show presentation is a good way to present visual information that can be contained in a still photo shot, while also providing the basics about you, your education, and your experience. It also shows that you know how to use PowerPoint! You can store a slideshow resume at a website such as Slideshare, SlideRocket, or Prezi. 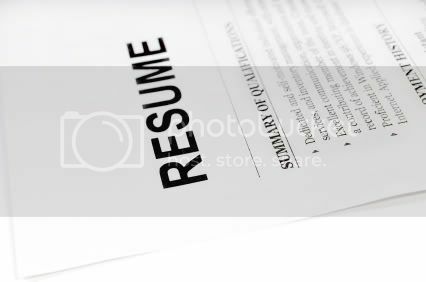 However, do not turn your resume into a PowerPoint presentation if you do not have any visual information to convey. A traditional resume already has short sections and bullet points so breaking it up into a slideshow will not add any additional information. All that will accomplish is requiring a human resources manager to take more time to look at it. A video resume. You can make a video resume at websites such as BriteTab.com, OptimalResume.com, InterviewStudio.com, and ResumeBook.tv - or you can simply make your own. You can store a video resume at sites such as Vimeo or YouTube. It makes sense to provide a video resume if you are applying for a job where charisma is important, such as a job in sales, or a job where creativity is important, such as a job in marketing. Don't send out a video resume, however, unless the video and audio quality are stellar - or you may do more harm than good. An audio resume. An audio resume is a good idea if you are applying for a job in which your phone skills are crucial, such as a call center job or a receptionist. It gives a recruiter a chance to hear and assess your voice and to determine how professional you sound. However, most recruiters tend to like to have a physical document to read through for easy access. If you provide an audio resume, be sure to send along a transcript as well.